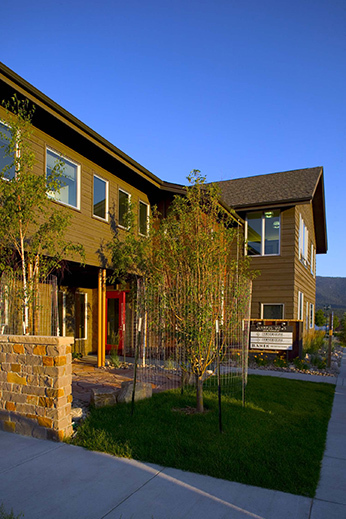 Our firm was looking for office space when the opportunity arose to partner with a local civil engineering and construction firm and build a new building near the shore of Lake Estes. Offices for each company are combined with a shared high-tech conference room and other support spaces. 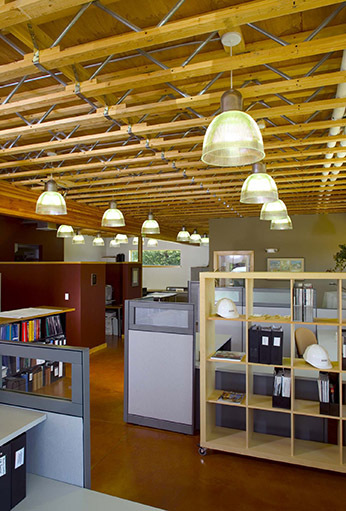 The structure of open-web joists, beams and steel columns is exposed in the BAS1S Architecture space, as well as the stained concrete slab floor. Low walls for work-stations and meeting areas allow privacy while keeping an open office feel. 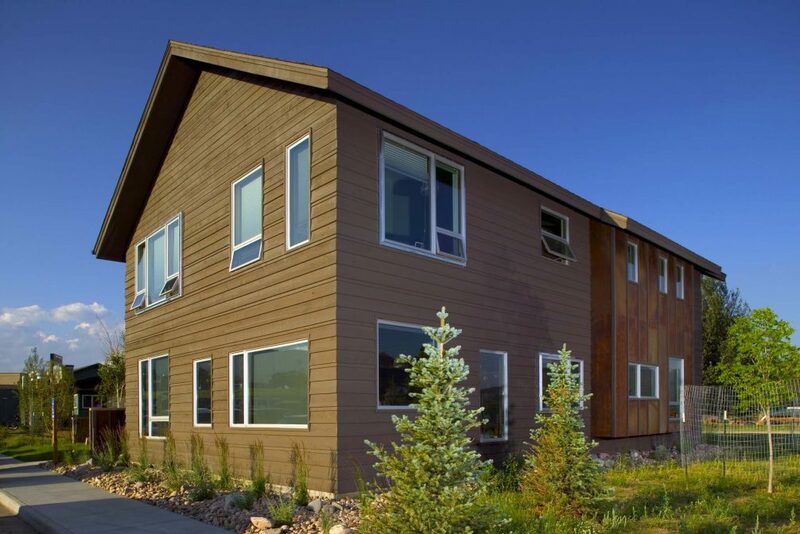 The exterior consists of two simple forms, clad in stained cedar siding with stone and rusted metal accents. Anodized aluminum windows provide a modern overlay of pattern on to the relatively plain walls.